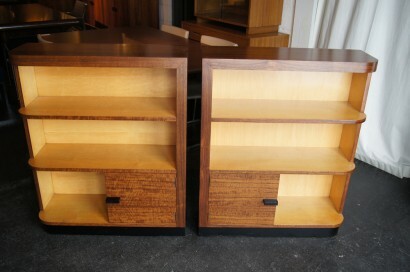 Designed by Gilbert Rohde for Herman Miller in the early 1940s, this handsome pair of art deco bookcases features a bookend design, each case with one curved corner and one lower cabinet. 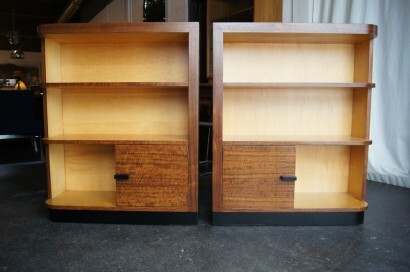 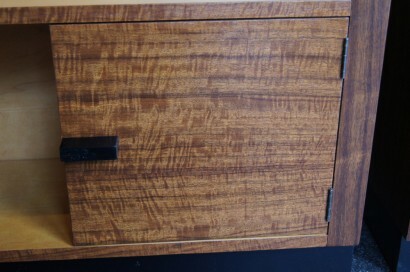 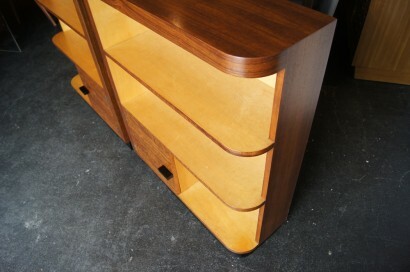 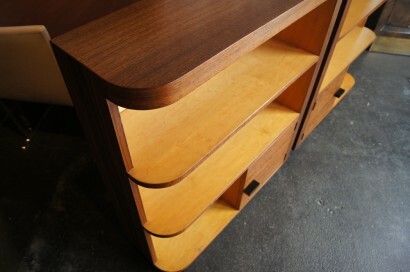 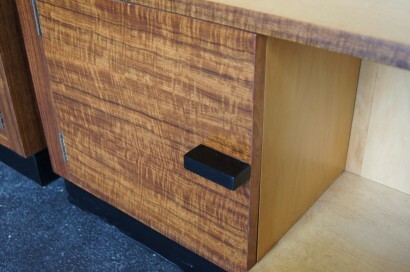 The exteriors of the bookcases are a dark walnut, the interiors are blonde; the base and cabinet handles are ebonized. 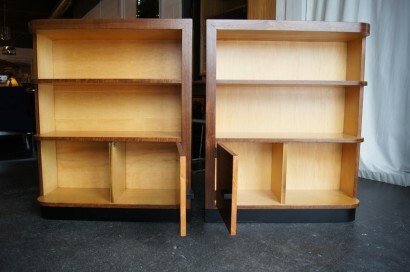 Whether displayed side by side or as frames for other pieces, these bookcases are perfect for a home library, office, or living room. 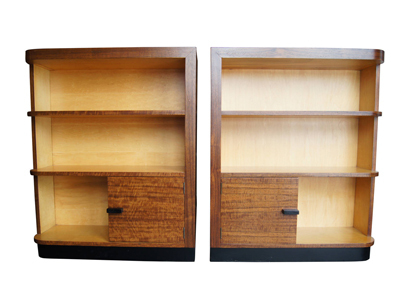 The top shelf on each piece is 9″ high, the middle shelf is 10″ high and the bottom shelf, which includes the cabinet, is 12.25″ high.